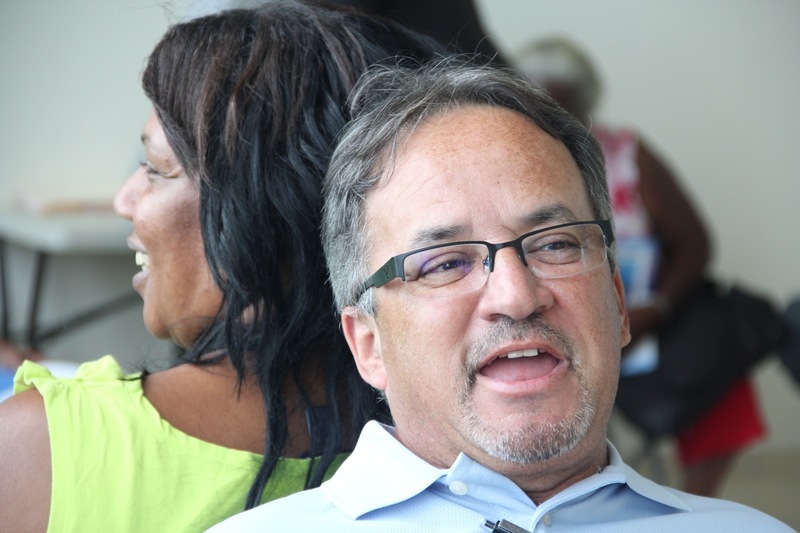 During Resiliency Training for homeless and at-risk Veterans in Miami, Family Support Specialist Juan Garcia helps Veteran realize impact on communication when you can’t see the other person. Operation Sacred Trust, “OST,” funded through the U.S. Department of Veterans Affairs Supportive Services for Veteran Families program, helps provide housing stability for homeless and at-risk Veteran families in Broward and Miami-Dade counties. OST is a collaborative effort of Carrfour Supportive Housing, PAIRS Foundation, Henderson Behavioral Health, and Neighborhood Housing Services of South Florida. The program served more than 1,000 Veterans and their family members in South Florida since starting-up in September 2011, including ending homelessness for hundreds. FatherhoodChannel.com is pleased to profile some of the OST professionals on the frontline of ending homelessness for America’s Veterans. 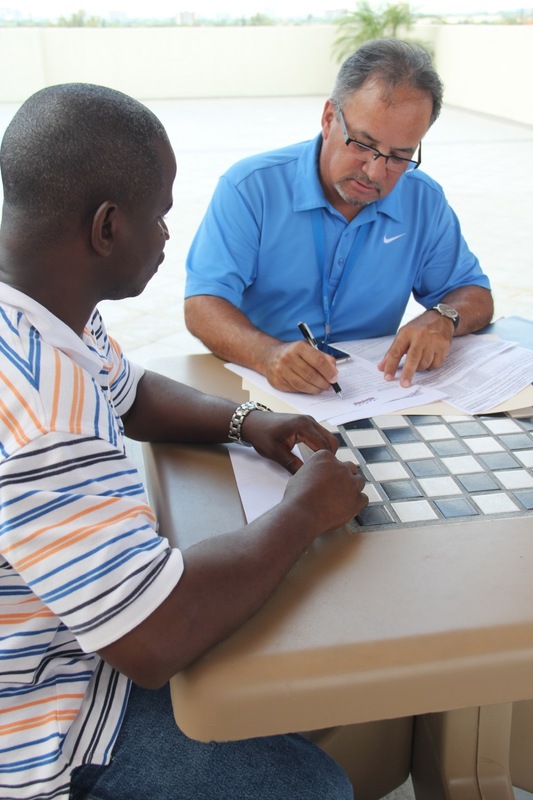 Juan Garcia meets with homeless Veteran during program orientation. What inspires you to serve Veterans? Serving our veterans is my way to express gratitude for the immense sacrifice this person and his or her family have made for our country and freedom. There is no higher honor then serving those who have served. What is a story/experience serving a Veteran family that stands out for you? I was impressed by Mrs. “W”, a mother of four, college student, young soldier who did not want to be a burden to OST or anyone. We were able to find a great three bedroom apartment for her family, she still in school, and so excited with her new home. What’s your hope for the impact your work at Operation Sacred Trust has on the lives of the Veterans you serve? I hope they value this opportunity, are able to improve their lifestyle, and get back on their feet, giving them the chance to gain greater income from the foundation of a safer, stable living environment. Many moved in to a brand new apartments. What a privilege which they totally deserve. Beyond your work serving Veterans, what personal connections do you have with the military/VA community? I was raised by a Koren War Veteran. I lived through my mother’s struggles being by herself while my father was in the service. Thanks to his sacrifice, I was able to to to college and get a degree. Dad returned home from his service emotionally and physically sick, but was a great father. What’s one of the lessons you’ve learned from your work helping end homelessness for Veterans? I have learned that to serve is Divine. It is a privilege, joy and responsibility to serve with honor and the best of my ability. Serving those who have given so much is even a greater honor.